One of the best tavernas in terms of food in the area. It offers traditional “meze” (small dishes to share), with tables inside and outside. 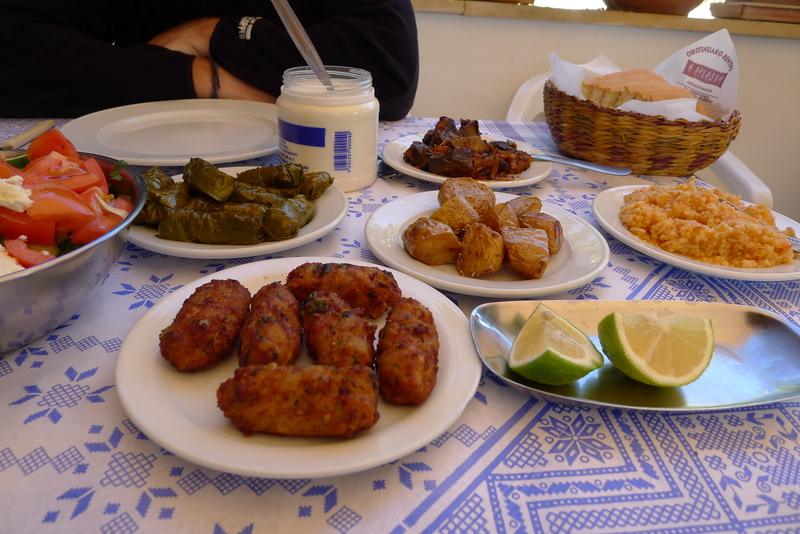 The “meze” would include traditional “keftedes” (fried meatballs), “koupepia” (stuffed vine leaves), pork chops, fried liver and many more. One of the highlights was the traditional (and homemade) dessert, “palouze” (grape jelly). We only realized it was homemade when we saw the grape pots next door!